Located in a rural Michigan farming community, Polly Product’s owners and workforce share the values that have made our country great. Hard work, honesty, and the desire to deliver quality products is the mainstay of rural America. 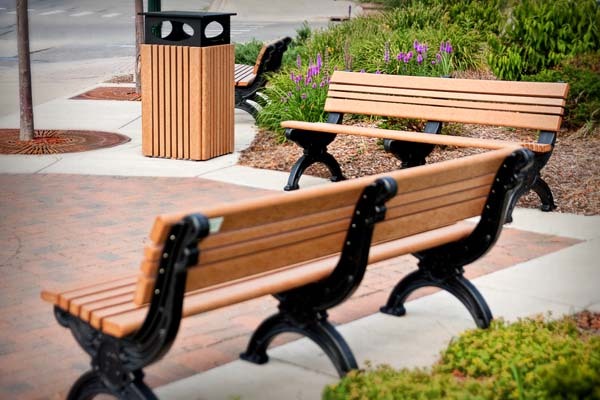 We are proud to supply an environmentally responsible product to the marketplace. 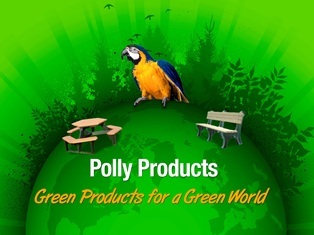 A product that provides a durable alternative to other materials that rob our environment of our valuable natural resources is a Polly Product. ”Green Products for a Green World” is our contribution to the saving of our planet. 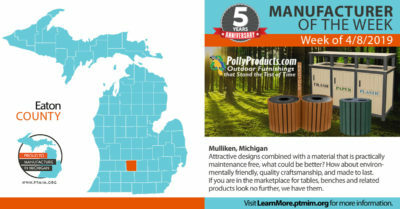 “Quality”, “recycled”, and “designed to endure” are words synonymous with Polly Products. We not only manufacture all of our recycled plastic components, our craftsmen create and fabricate products that are shipped worldwide. Attractive designs combined with a material that is practically maintenance free, what could be better? Try environmentally friendly, quality craftsmanship, and quick deliveries. 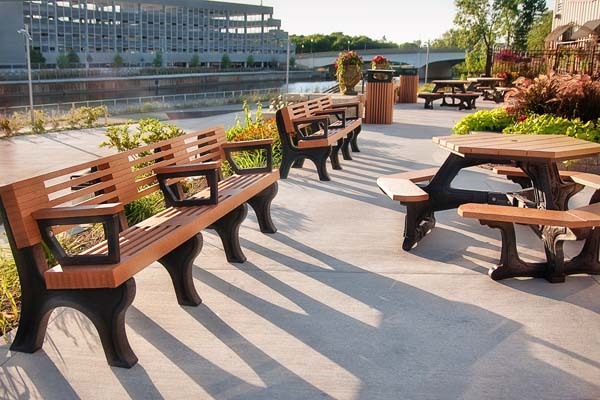 If you are in the marketplace for tables, benches and related products look no further we have them. Many of our products have components pre assembled to save you our customers time and money. 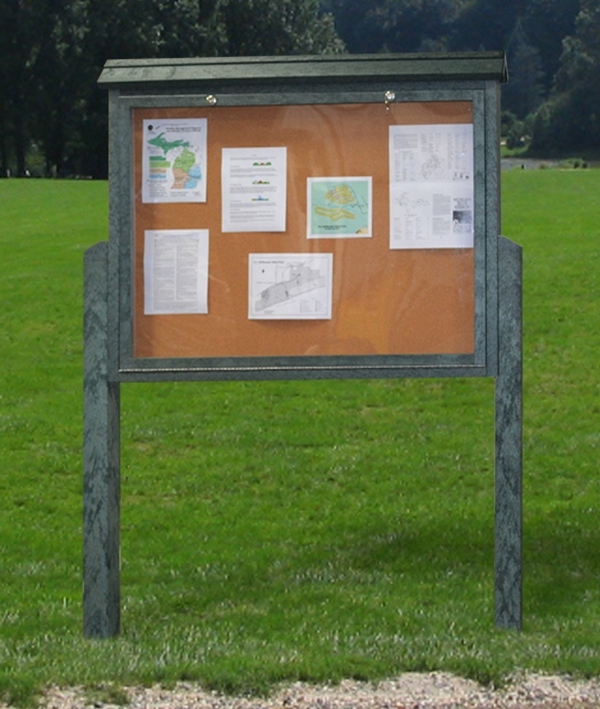 They all have fully illustrated step by step easy assembly instructions.The decorative table frames found on our Green Scapes and Café tables are designed for ease of assembly and truly are superior in quality and design.